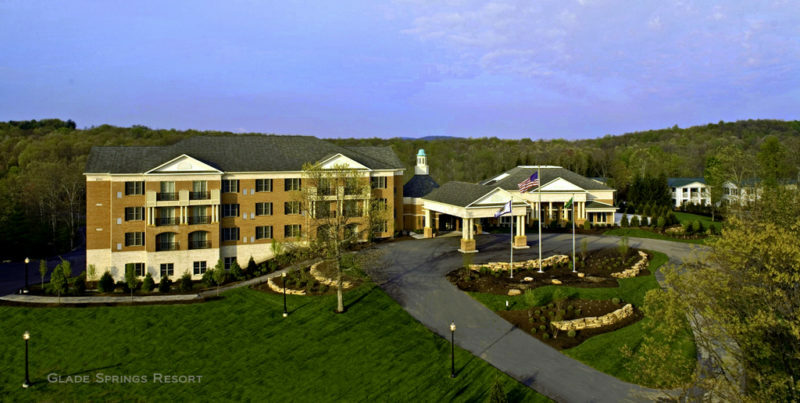 The inn at Glade Springs Resort is one of many West Virginia hotels benefiting from increased tourism. West Virginia Governor Jim Justice today unveiled data that shows a 16.1 percent increase in state hotel occupancy. Combined with a robust average room rate, the occupancy increase also produced a 20 percent revenue increase in a year-over-year comparison. Joined by the state’s Tourism Commission and dozens of hospitality-industry representatives, the governor announced that the statewide hotel occupancy in June jumped 16.1 percent from June 2017. “What you see here is hard work paying off,” Justice said. “Since I started this job, one of my top priorities has been to get the word out about what an amazing place this is. We have four beautiful seasons, the friendliest folks in the world, and activities to fit every budget and interest. The governor delivered the news from the front porch of a newly constructed luxury cabin at Chief Logan State Park. Dedicated just last week, the new cabins will serve visitors to the Hatfield-McCoy trail system, one of the state’s fastest growing tourist attractions. West Virginia Tourism Commissioner Chelsea Ruby attributed the increase directly to the governor’s vision. “From day-one, the governor had a vision for what could happen with West Virginia tourism,” Ruby said. The occupancy gains have been widespread. Justice announced increases for every region of the state and shared year-to-date figures. In the first two quarters of 2018, occupancy is up 11.7 percent, producing revenue growth of 14.9 percent. Statewide hotel occupancy rates are reported by STR, a global hotel research company. STR collects monthly data from more than 58,000 hotels around the world, representing more than 7.9 million rooms in 600 different markets. Save while traveling to West Virginia: How to do it!